If you’re interested in generating high-converting leads via referrals then go ahead and check out our Create the Best Referral Plan tool in our Be Smart About toolbox. There you will view a presentation that will guide you through creating a referral program in detail. You will also download a referral flyer template and sample so that you can start spreading the word easily. Since you’re here right now, let’s get you going with our 5-Step framework for creating at Referral Program. Everyone who knows and loves you: Friends, family, current and former buyers. Networking: Folks in your circle. Brokers / agents: A more formal relationship. You own the client relationship. Channel Partners: Like an agent only the Channel Partner owns the client relationship. STEP 2: Create rewards that motivate: The reward truly depends on the source. Either way you need to acknowledge the person who referred to you at both the lead and the close. We have a great list of ideas and the rationale behind each idea in our toolkit. Gifts range from a gift card to points, matching rewards to cash. The Tool will run you through the rational. 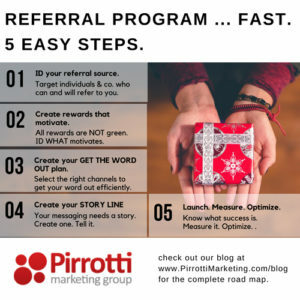 STEP 3: Map out how you will get the word out: Referral programs are launched – but never talked about so employees, clients, friends don’t even know the program exists. This happens all the time. You’ll want to test communication channels including: email, social media, your website, one on one conversations and group presentations. We address what you should say, when were you should say it – in our toolbox. STEP 4: Create your Message Outline: While the essence of your message transcends all modes of communication, the way you convey your message will change with each communication channel. In other words the content you include in you Tweet will differ from your blog post, email and one-on-one talks. Some forums will allow for a very high-level message, others will enable you to provide more detail. 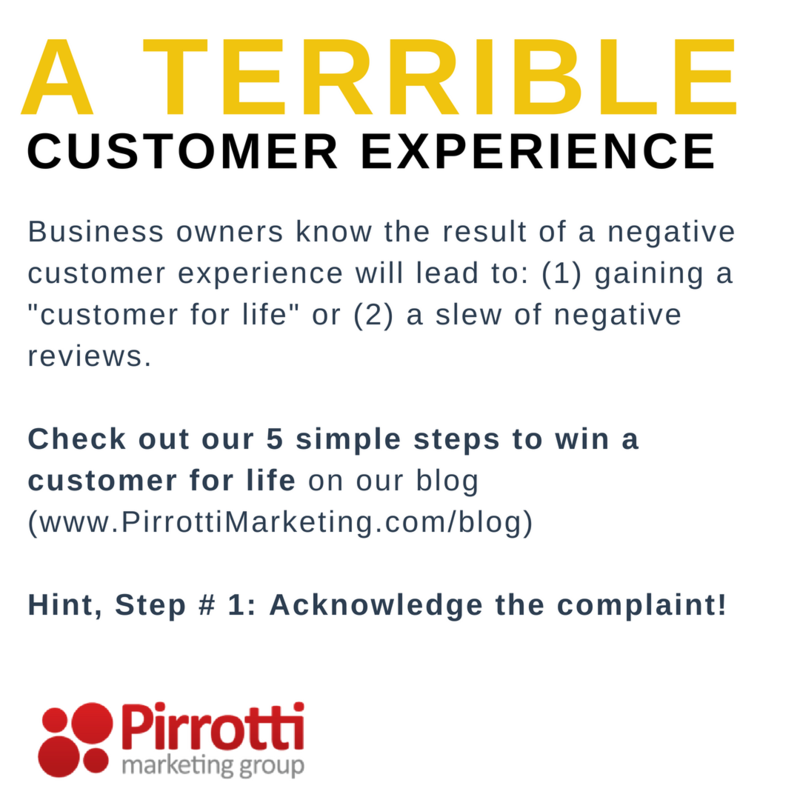 In any case, you have to make your very simple – terms and conditions available for anyone who wants to review to you to view. STEP 5: Launch à Measure -> Optimize: In a previous post “Showing Up” I talk about the importance of launching. Feel confident enough in your program to get it out. The worst thing that could happen is that you don’t get any referrals or perhaps you get a referral and you pay too much for it! Either way it just doesn’t matter. You’ll include T&Cs that allow you to cancel or change the promotion at any time. You’ll launch. Review results (we cover Key Performance Indicators in other BSA tools), and optimize your program based on customer feedback. And now, we encourage you to map out your plan and launch! Enjoy yourself along the way. Building a referral program should be fun. Ready to build a referral program? We can help! Contact us and we’ll get those leads flowing in.